The AQ-SPK3.0-4S waterproof speaker is a high quality, robust and durable waterproof speaker, designed and built to withstand the harsh conditions associated with use in marine, boat, pool or spa applications. Rated at 60W max power output (30W RMS) and frequency response of 125Hz-20,000Hz these 3� waterproof speakers are capable of delivering full range output, ideal for installations with space constraints or to compliment larger speakers already installed in your marine, boat, pool or spa stereo system. The AQ-SPK3.0-4S has a fully waterproof design, UV and salt/fog protection and is supplied without grill (sold separately - see Accessories). The AQ-SPK3.0-4S waterproof speakers will mount directly into an aperture of 73mm and requires a depth of only 18mm. 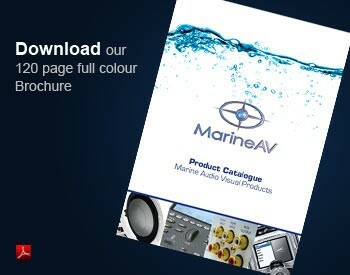 As with all Aquatic AV products we only use high quality materials to construct our waterproof speakers and the AQ-SPK3.0-4S waterproof speaker is no exception - Polypropylene cone, Ferrite magnets and UV resistant grill and basket material all combine to provide a durable, long lasting and great sounding full-range waterproof speaker.